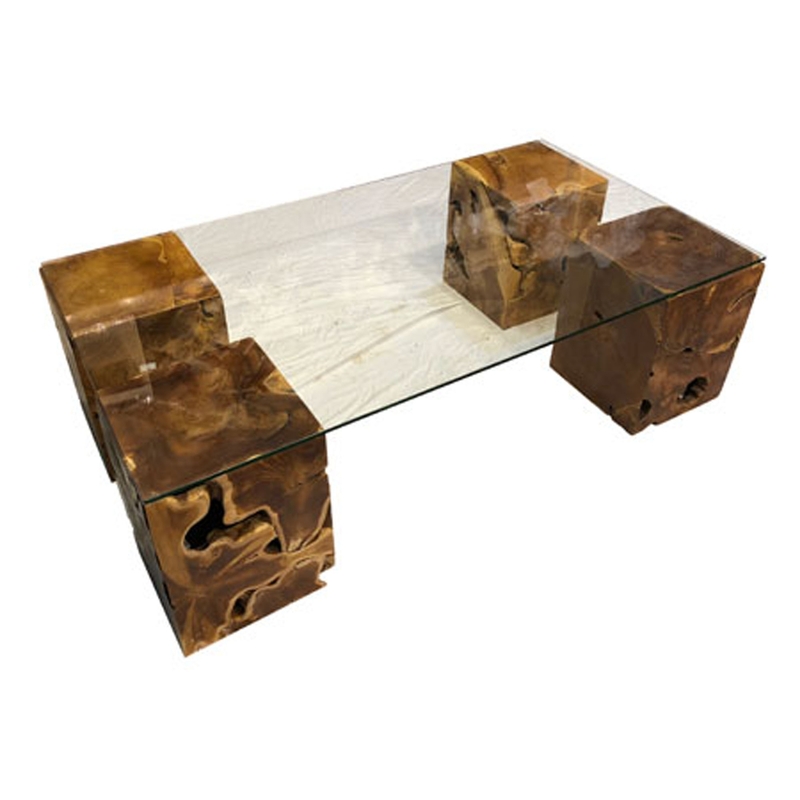 Make your home feel a lot more stylish and charming by introducing this wonderful Driftwood Coffee Table Teak Root Four Columns Rectangular Glass. This coffee table has a splendid design that'll be certain to impress. Four columns hold up a rectangular glass surface, combining to create a very original piece.